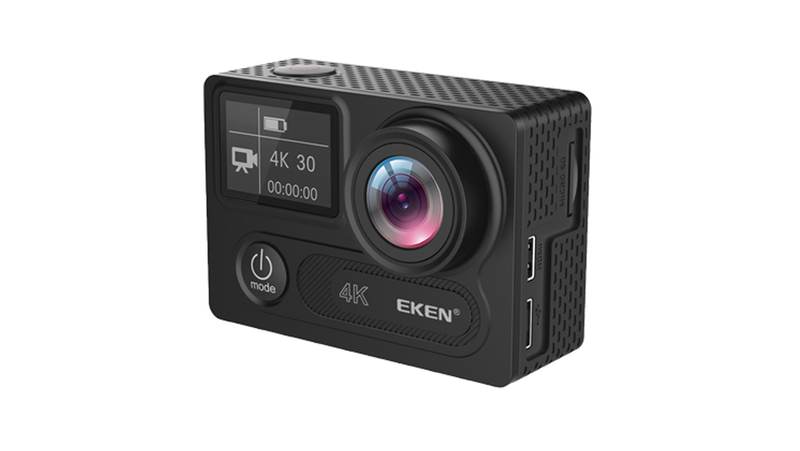 Recently a new version of EKEN H9 series camera was introduced, the EKEN H9s which offers a new feature: Livestreaming. 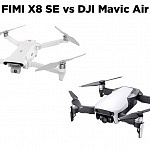 So in this article I want to take a closer look and compare it with other EKEN models. 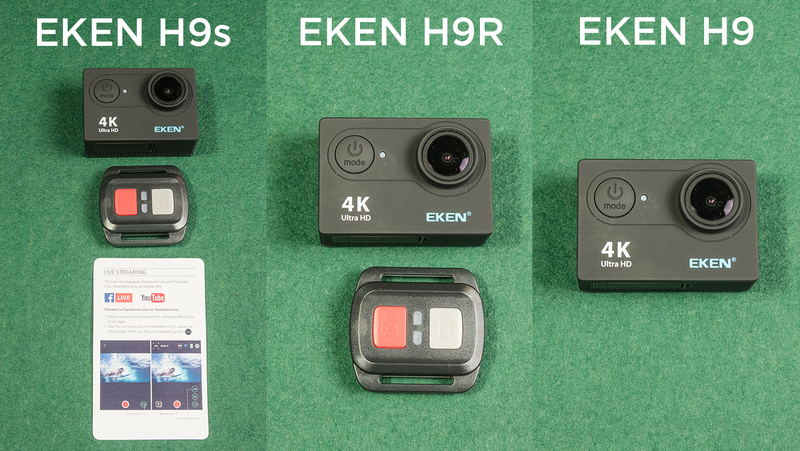 Currently there are 3 versions of EKEN H9 available: EKEN H9, EKEN H9R and EKEN H9s. Based on the specs all cameras are the same. EKEN H9 is the base model. 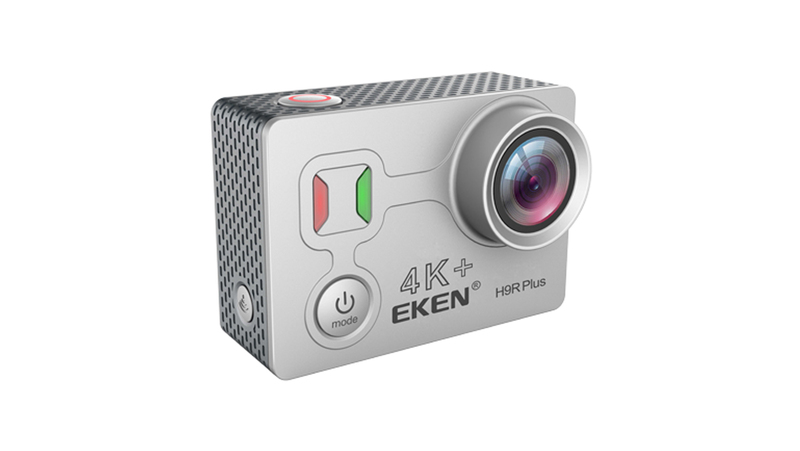 EKEN H9R comes with the remote controller. 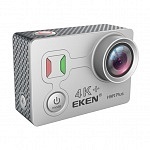 The controller can’t be used with an EKEN H9 camera you have to get a H9R version! 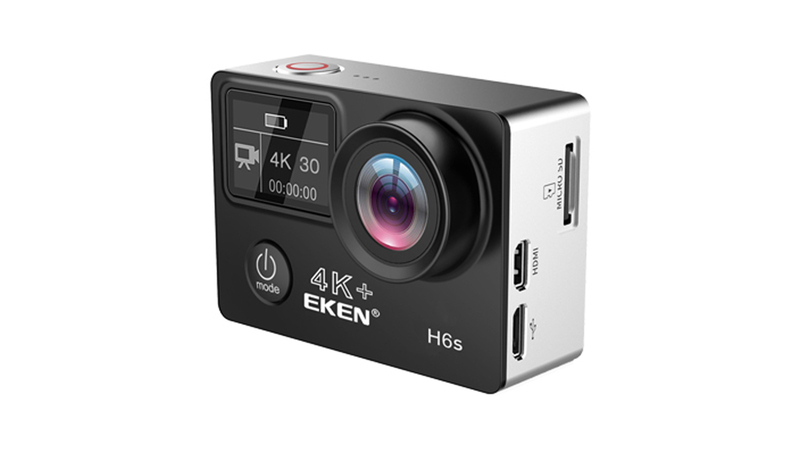 EKEN H9s comes with a remote and is capable of live streaming. These two versions (again R stands for remote controller) have a 150° lens, a lower resolution screen (220 x 176 px instead of 320 x 240) and a different sensor: the 4 MP GC4603 instead of 4 MP OmniVision OV4689. 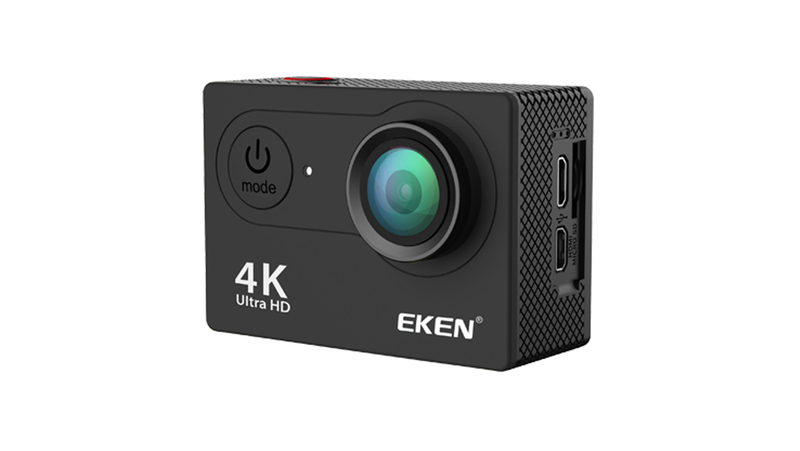 They do not feature 720p resolution with 120 fps and you can’t upgrade with a EKEN H9 firmware to get it as they use a different firmware! 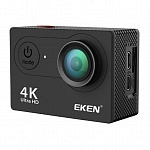 In contrast to EKEN H9 the Pro and Plus version both were real 4K action cameras. The difference between Pro and Plus were the sensors used: Plus uses a Sony Sensor whereas Pro uses a Panasonic sensor. EKEN H9 Plus and H9 Pro are not offered anymore. 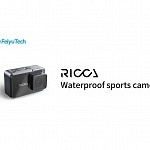 Similar cameras are they recently introduced EKEN H6s and EKEN H5s. 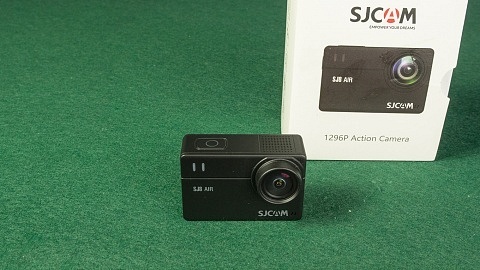 That’s the same sensor used in the SJ4000+ by SJCAM. Therefor it is easy to spot that 4K is not real but interpolated. Interpolated means the 4K video is upscaled as native 4K resolution equals roughly 8 MP. 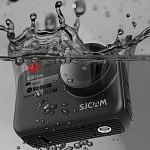 The camera uses a Sunplus 6330M chipset, used in many budget action cameras. Only mentioned frame rates are available, there are no lower frame rates in 720p. 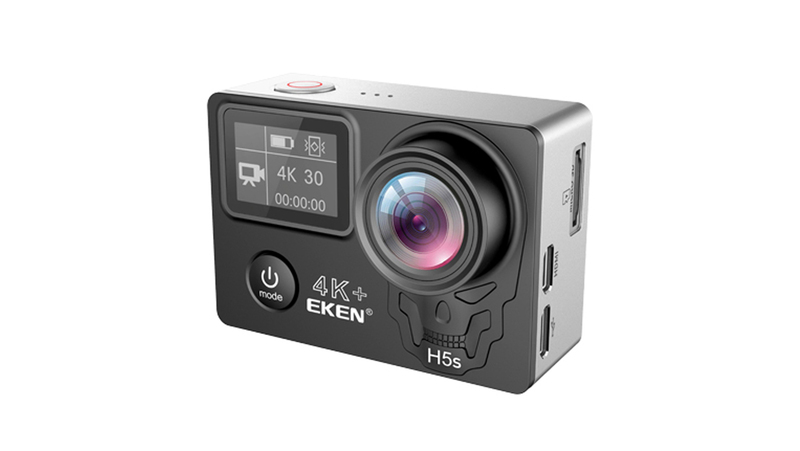 EIS (electronic image stabilisation) is not available on EKEN H9s, if you need it, take a look at EKEN H6s. 12 MP is stated as maximum, but be aware EKEN H9s uses a 4MP sensor, hence the photos are upscaled to 12MP. 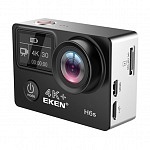 As mentioned EKEN H9s comes with remote controller, similar to EKEN H9R. Eken H9s features the new rounded 1050 mAh batteries. 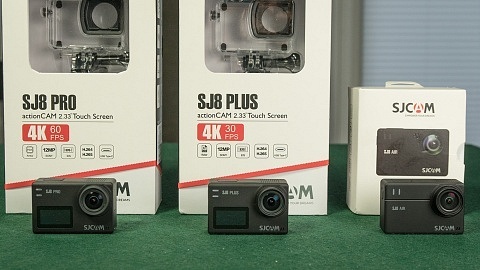 The slot is still rectangular so you can use the SJCAM batteries as well. microSD cards with 16 or 32 GB size are recommended but selected 64GB cards are supported, but not guaranteed! A class 10 microSD card is required. The 2” screen on the back has a 320×240 px resolution. Eken H9s comes with a huge pack of accessories, even a 2nd battery. be aware that the content changed a bit. The charger is not included anymore but instead you’ll get a tripod. You can use any phone USB charger instead. 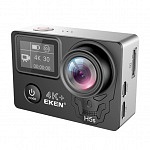 The body of the EKEN H9s is the same size as EKEN H9 and EKEN H9R as well as the SJCAM SJ4000. 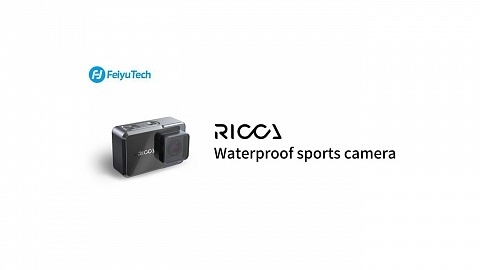 So you can use any accessories designed for these cameras. Be aware that the camera is larger than GoPro cameras and the buttons are located differently, so you can’t use those cases. Hence the mounting system is the same so GoPro mounts work for EKEN H9 cameras. On the frontside of the camera is the power/mode-switch button as well as a LED for status and charging. The camera’s top holds the shutter button, which also acts as select button in the camera’s menu. Beside the button there is a large LED indicating recording. On one side you’ll find 2 buttons to navigate the menu as well as for play back and wifi. You can remote control the cam with an iOS or Android apps well as with the included remote controller. On the other side, there’s a microUSB and micro HDMI port as well as the micro SD card slot. Be aware that microUSB doesn’t support audio input so you can use an external microphone via this port. When powering up the camera it will start in video mode. A small icon on the top left side of the screen will show you the current mode you are in. By short-pressing the power button you can cycle through the modes of the camera: photo mode – burst mode – time-lapse mode and settings. To enter the settings you need to press the shutter button which will also act as select button. You can navigate the menu by pressing the up and down buttons on the side of the camera. To exit the settings, press the power/mode button. 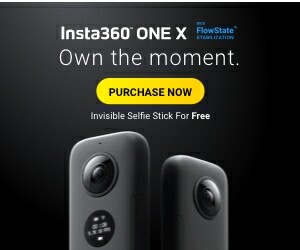 The camera will record 10min. clips and will overwrite the earliest clip once the microSD card is full. 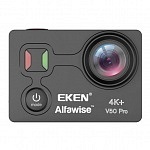 This mode is beneficial when using EKEN H9s as dash camera. 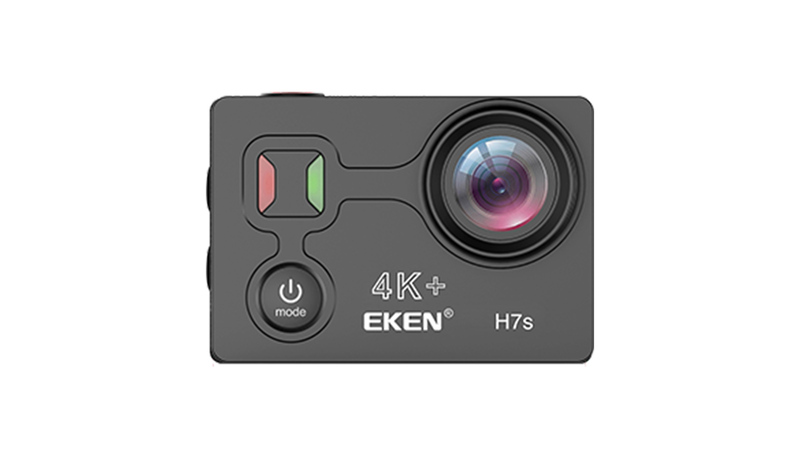 Remember that EKEN H9s uses a 4MP sensor, so all photo resolutions higher than will be upscaled by the camera. Same effect as you would upscale them on a computer. EKEN H9s can shoot 3 pics within a second and that’s the only option you’ve got. This is a photo time-lapse mode, so the EKEN H9s will take individual pictures but not generate a video clip out of it! 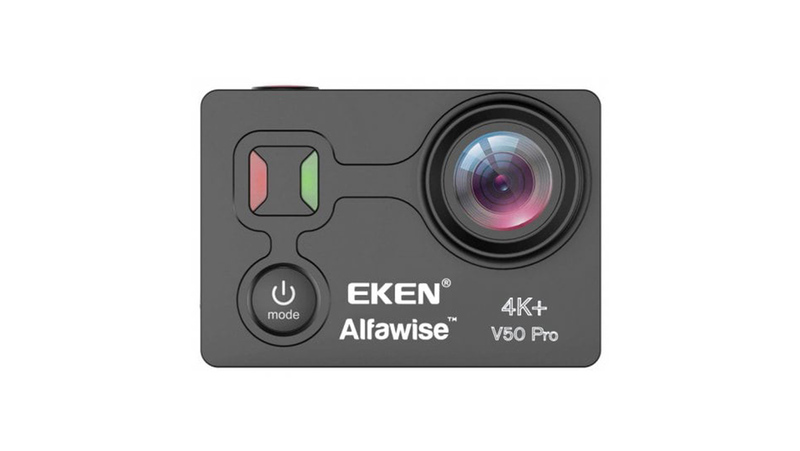 EKEN V8s was the first EKEN camera that came with a video time-lapse function. 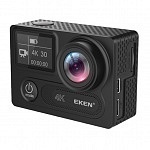 With EKEN H9s you’ve got some basic features, but I’m missing White Balance, ISO or Shutter settings as well as a auto-record & auto-powerup to use this cam as a dash cam. Press the “down” button on the side of the camera to turn on wifi. On the screen you’ll see that the cam is “waiting for wifi connection”. Open up the EZ iCam App (available for iOS and Android) and select your camera – then the live view is show. With the app you can remote control the camera: switch modes, start/stop recording or take photos. You have the option to change resolution but only 1080p and 720p modes are available to select. Interestingly you can select White Balance within the app, but not within the camera’s menu. When you enter the settings you can only change light frequency or switch on “upside down”. Press the mode icon (bottom left) to display the options and press LIVE. 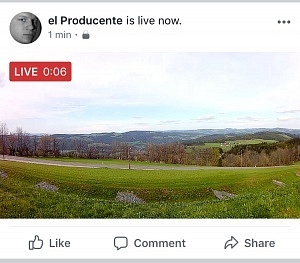 When hitting the record button the Live Stream menu opens up. You can connect to your Facebook or Youtube profile. Be aware you have to link your profiles for the first time you use it, afterwards hitting Facebook or YouTube will immediately start the livestream! You can also choose privacy settings and video quality before you start the livestream. The live stream is up and running, the app will switch back to the homescreen and display the live image. EKEN H9s creates a wifi hotspot and your smartphone will connect with the camera using wifi. Therefore the livestream uses mobile data for the broadcast! 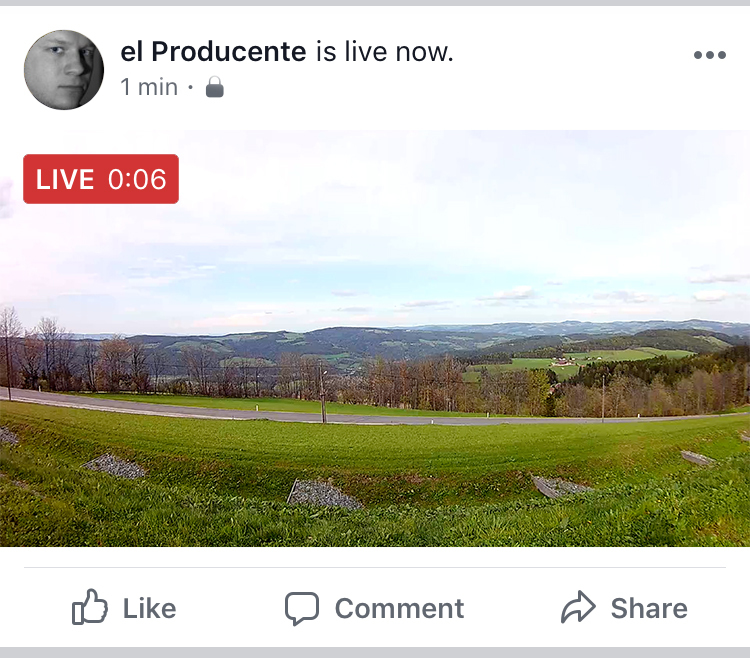 And here you go, you are live on your Facebook profil. If you have an EKEN H9s, try it out and stream it on EKEN H9 Facebook Group! 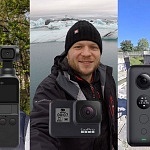 Live streaming is an interesting new feature which not many action cameras offer. 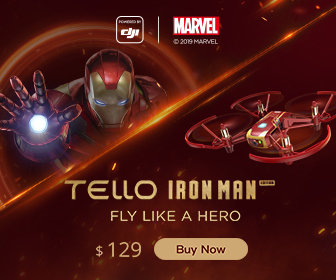 It’s super easy to use, once you connected phone and EKEN H9s you need 4 clicks and you are live. On the downside you have to use mobile data to broadcast and this feature is only available with EKEN H9s and can’t be upgraded on EKEN H9 or EKEN H9R. Since the specs of these 3 versions are the same, my conclusion is the same. For it’s price EKEN H9 is a great camera, to me the best in this price range. It offers a very sharp video with high contrast. 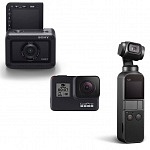 But don’t expect to get the features or quality a 400 USD GoPro offers. Even tough the camera is labelled 4K this resolution is only achieved by upscaling. I only use my camera in 1080p with 60 or 30 fps (lower fps is better in low light situations). 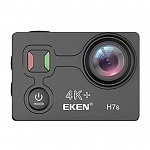 EKEN H9 offers the basic settings, a firmware upgrade with video options such as Metering, White Balance, ISO and Shutter control would be nice. Also auto power up when connected to a power source and auto start recording would be nice to use it as a dash camera. Compared to the accessories I got with my first EKEN H9 (back in 2015), the accessories included now (with all 3 versions) show a higher quality and it’s nice to see a second battery as well as a tripod are included.